Our battle is spiritual. The victory is won through prayer. Each SEND missionary is required to have at least 30 prayer partners who will commit to pray regularly for them. Up to date information enables prayer partners to pray for their missionary?s immediate personal and ministry needs. SEND International is a faith mission. Every SEND missionary relies on the Lord to provide for their material needs. Financial partners commit to invest in a specific missionary?s ministry. Their investment helps provide a modest but adequate salary, ministry expenses, medical and pension. Without financial partners the work of these missionaries will not happen. Introduce the Benges to your church. See the link below for a tri-fold brochure that you can print (double sided) to help get you started, or you can contact SEND International for pre-printed copies. Contact friends and family members who attend other churches about the Benge's ministry. Host a home fellowship for them. Have them share at your small group, Sunday School class, or Adult Bible Fellowship. 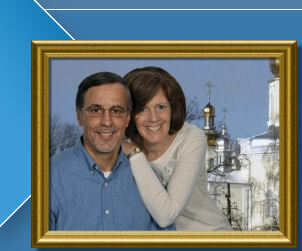 to request a visit from the Benges to your Home Fellowship, Church, Sunday School or Small Group. for a prayer and financial support page that you can print, fill out and mail to SEND International. Click Here for a PDF file of the tri-fold brochure that describes the Benge's ministry for distribution to churches, family and friends.